Nestling in the Himalayas in the North East of India, Sikkim is one of the smallest states of India – but also one of the most beautiful. Visitors leave in awe of this mountainous place, richly endowed with fauna and flora, with the beautiful cherry blossom trees being a particular highlight. 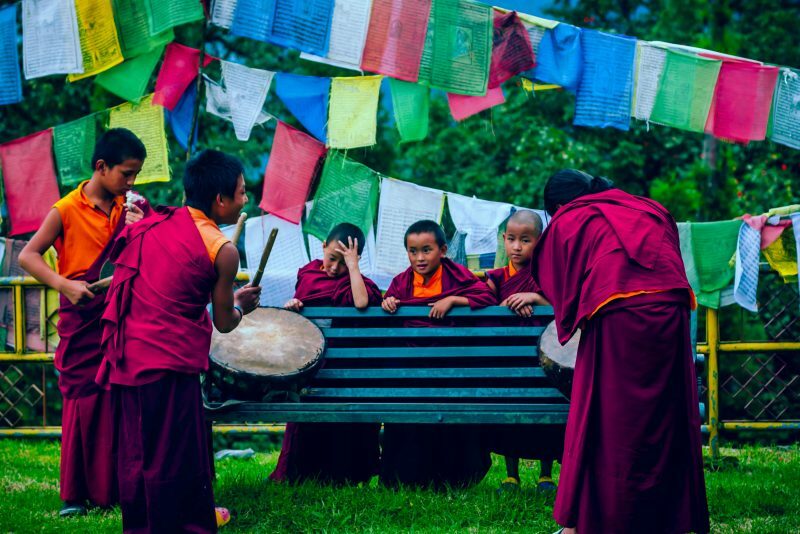 And Sikkim's natural beauty is complimented by its rich multi-lingual, multi-cultural society including Nepali Hindus, Buddhists and local indigenous peoples. But under the surface, Sikkim is grappling with a problem common to many Indian states. Although it is one of the fastest growing economies in the country, this growth is not being translated into better opportunities for ordinary citizens on the ground. Jobs are in short supply, especially for educated young people; even the booming tourism sector mainly employs non-Sikkimeese. Unemployment, discontent, and drug abuse are growing problems. The jobless nature of growth is a phenomenon in many states in India, as our recent report addresses. But the Government of Sikkim has taken some unique steps to generate more livelihood opportunities in the state – and other Indian states could learn from their approach. Launched at the flagship Kanchan Panda Start-Up Festival, held in Gangtok, Sikkim from 24th – 25th November 2017, the new programme is designed to encourage education, entrepreneurship and innovation in small and medium sized businesses, helping young people in Sikkim find work, launch new enterprises, and help develop their communities. As one of the participants at the event, it was an experience of knowing Sikkim from the lens of not just the government of Sikkim but groups of youth, aspiring entrepreneurs and established businesspersons who came in large numbers to participate in the event. They were also joined by financial investors, enterprise support service providers and renowned economists from across the country. In the two days of the festival, there were multiple parallel sessions. Some of the themes were agriculture, tourism, IT-based enterprises, aggregators and budding entrepreneur skills, financial investment opportunities. Young budding entrepreneurs shared their first-hand experience of setting up an enterprise. The discussion threaded around the need to identify niche and target audience in the business planning and develop ecologically responsible business models. Some young entrepreneurs in Sikkim have set up homestays in Sikkim and see them as an upcoming opportunity area for livelihood generation in Sikkim. Ms Deyang Dolkar Gyatso, the owner of a “homestay” business similar to Air B&B, believes that tourists should experience and learn about the tradition and culture of the place they visit while holidaying. According to her, the experience of organically produced food and local excursions and entertainment can be best planned by the home stay owner – the local herself/himself. Such homestays are a win-win for the tourist and local livelihood creation – and surely a step towards green economy! Mr Thutop, Founder – Ourguest.in – another initiative of homestays in Sikkim further states that homestays cannot just be around urban areas and his entrepreneurial initiative sets up such homestays in rural areas. This is to ecologically balance the rush of tourists across the state and also expanding economic opportunity beyond urban and peri-urban areas. Established business groups also shared their approach of business in Sikkim. The idea of being green and ecologically safe in their business operations was highlighted by most of the businesspersons. On one hand, there were models to support local livelihood creation and on the other end, many businesses shared their ways to ensure ecologically clean practices of business operations; especially in avenues of waste management. A need to mainstream such models across the big businesses in Sikkim was clearly felt in the discussion. Big Hotel owners present at the fest shared their initiatives on adopting methods that make their properties green. Hotels have started practicing segregation of waste at the source. They separate their kitchen waste from the dry waste and compost it at the hotel site. Mayfair, A big Hotel chain across the country, has collaborated with the local farmers in the area and sources their food from these farmers. Sikkim has received increasing attractions amongst Tourists over the recent years and with the booming entrepreneurial environment amongst the youth of Sikkim, this is surely a big opportunity for creating livelihoods and building a sustainable economy in the state. The vision of the State is surely in alignment to the demands of the civil society in the state. Sikkim surely has to the potential to set an example that adds not just economic value but enhances livelihood generation, and does all this within its ecological limits. 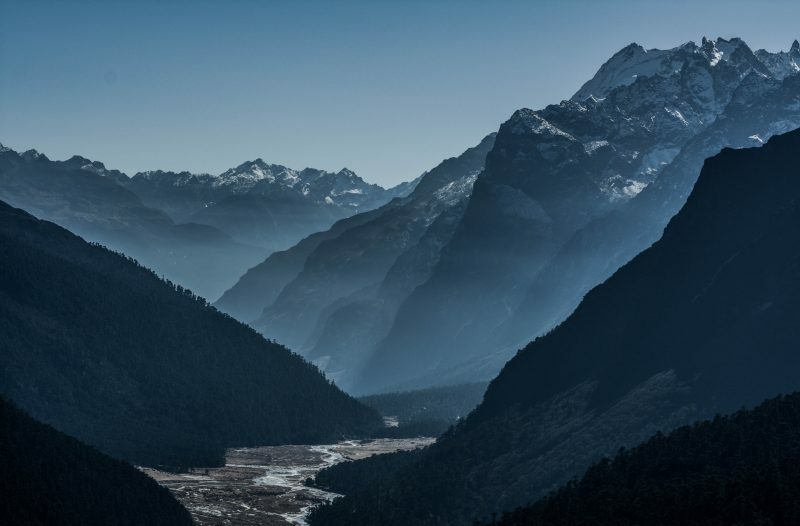 While the world looks at Sikkim with hope, stakeholders in Sikkim have a massive responsibility to realise the vision of the state in its true colors.